Gift giving is so much fun in my house. I take the time to plan ahead and find that perfect gift for my loved one. I do a lot of shopping online and prefer it actually to avoid the crowds and you really can find it all online. 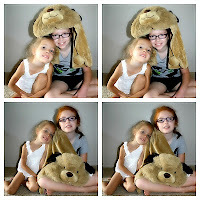 My girls, like many other kids, are fans of Pillow Pets. Why not? They are soft and cuddly and make the perfect mate at night or when you just want to lie down. We received a My Pillow Pet Dog Blanket from Coppin's Hallmark and I wished I had recorded their delight when they opened up the box. They loved how soft it is and it's huge! They have even put it over their heads to pretend they are a dog. Each night, they have taken turns with it and to date, have not fought over him. It's the perfect gift and they have many varieties of the Pillow Pet blankets and regular Pillow Pets. I don't think I've seen a bigger collection anywhere else. They also carry those fun looking new slippers, Stompeez, that my girls want! Since Coppin's Hallmark is available online, they also provide free shipping on orders over $30 in the lower 48 states. From categories ranging from fashion to figurines to jewelry to puzzles and can't forget plush, toys and games. There is something for everyone. *Disclosure: I received a complimentary product and information provided for the giveaway was provided by sponsor. The opinions are of my own. I would love to have another Willowtree figurine. I have "In Loves Embrace" which I got when Scott and I got married but I'd really like the "Grandfather" one. It's really cute!! Set of growing up girls with dark hair for my daughter! I would like the Happy Nappers Monkey and Hut Pillow. I like the Willow Tree Generations figurine. I like the pillow pet butterfly. The monster named Percy for my son would be so cute! I so would LOVE an annoying monster. 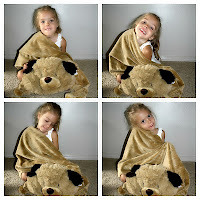 I would love one on the My Pillow Pet blankets! http://www.coppinsgifts.com/my-pillowpet-unicorn-blanket.html or http://www.coppinsgifts.com/my-pillowpet-zebra-blanket.html Although they are are cute! My 16 year old daughter wants the rainbow unicorn! I would love to have the Heartwood Creek By Jim Shore Disney Traditions Belle. My daughter would love it! Thanks! The black hand warming cozy mug is great! I would love the cow pillow pet! I have always loved the Willow Tree figurines!! I like the Moose Pillow Pet. Thanks for the chance to win! http://www.coppinsgifts.com/cream-hand-warming-cozy-mug.html - Hand warming mug!!! I would love to have the Happy Nappers Monkey Pillow and Hut. My little boy is 19 months old and he loves monkeys so I know he would adore this. Thanks so much for the giveaway. I would love the monkey happy napper my son loves both. I would love to have any of the family DaVinci beads! My little grandson would absolutely love the dragon happy napper!! My toddler would love the Annoying Monster Boris!! i would love to have http://www.coppinsgifts.com/willow-tree-remembrance.html for myself because my daughter was stillborn in 3/08 and that is something I have always wanted. I would like the snoozies! Chestnut Natural Boots. 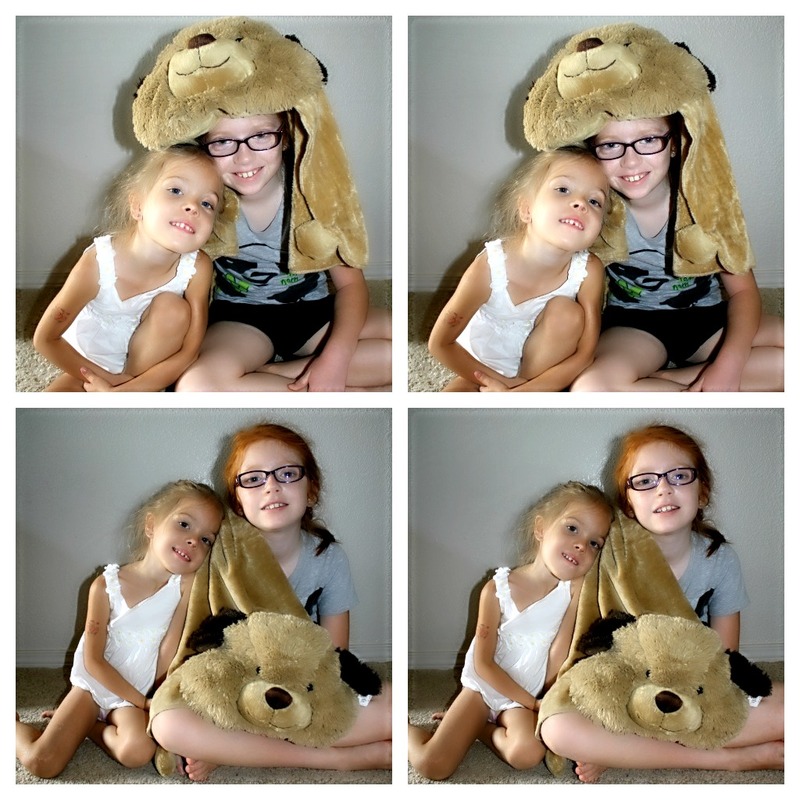 I desperately want the Panda pillow pet blanket..to give to my grandaughter. I would like to have the Happy Nappers Dragon and Castle Pillow. 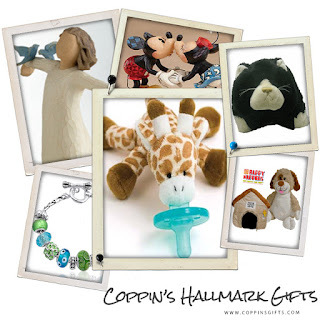 I love the Willow Tree figurines...and the Happy Nappers are cute, too. I love the Wubba Nub Pink Pony! Too cute! Wow! I love all the girl charms what a great gift to give someone and the prices are great. Thank you for the giveaway. Zoobies Furbie the Feline is my sons fav! I would Love one of the Perfect Petzzz....they are so freaking adorable and life like! 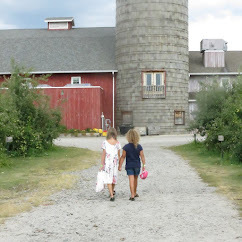 I would love a Willow Tree, but I know my kids would love any one of those pillow pets. I like my Pillow Pet Love Dog. I am not ashamed to say I love playing on the Webkinz site. :) 4 of my daughters love it too. I really like the angora cat Webkinz. I have been eyeing the Davinci Beads Toggle Bracelet! I would also love to have the Green Hand Warming Cozy Mug from the site. I'd like to have the My Pillow Pet Butterfly. It's adorable. A giraffe pillow pet or blanket would be wonderful. Giraffes are a favorite around our house! I love the charm it owl charm! I would love anything from the DiVinci Bead collection. So cute! I would love anything from the DiVinci bead collection. They are all adorable. Id love some davinci beads! Willow Tree Father and Son.